Solana Beach is a small, upscale community tucked along th e Pacific Ocean, in between Del Mar and Cardiff. A quiet low-key city, Solana Beach is flanked by the beautiful San Elijo Lagoon to the north, the San Dieguito County Park and the spectacular scenery of Rancho Santa Fe to the east. The Solana Beach Zip Code is 92075. Search MLS data for Solana Beach real estate & Solana Beach homes for sale. The main area of Solana Beach was originally called Lockwood Mesa and was first settled by the George Jones family in 1886. The oldest house in Solana Beach is the Stevens House, built in 1888 on a ten-acre ranch in south Solana Beach. In 1891 the ranch was bought by the Stevens family and they developed the adjacent 120 acres, now known as Eden Gardens. Solana Beach developed rapidly when Lake Hodges Dam was built in 1917-18. Then, in 1922 Colonel Ed Fletcher, an early community leader, purchased 140 acres at $20 per acre from farmer George H. Jones to develop the town of Solana Beach. The area was promoted as an avocado growing center. The City of Solana Beach was Incorporated in 1986. Golfers At Lomas Santa Fe C.C. Solana Beach is mostly residential in nature with safe neighborhoods, that make it ideal for families. Executives, professionals and artists are drawn to the small-town, casual character of Solana Beach. Most of those who live here are long-time residents and Solana Beach real estate turns over very slowly. Small shops, restaurants, motels and services line Coast Highway 101 as it goes through Solana Beach. There's a small narrow beach located at Fletcher Cove, near the base of Loma Santa Fe Drive. Hungry patrons line up to eat at the authentic Mexican restaurants in the Eden Gardens district of Solana Beach. The North Coast Repertory Theatre is packed with enthusiastic patrons enjoying the live performance of local actors. 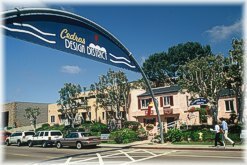 Residents and tourists have fun shopping in the popular Cedros Design District, featuring a growing number of antique, art, clothing and specialty shops. Boutique furniture stores offer unique imported and hand-crafted furniture and home designer items. Search MLS data for Solana Beach real estate & Solana Beach homes for sale. The Belly Up Tavern is another Cedros Design District attraction. This well-known nightclub is famous throughout San Diego County for great live music, entertainment and dancing. On the quieter side is the Zinc Cafe, a favorite place to enjoy coffee, tea, pastries and light vegetarian fare. The nearby Amtrak Coaster rail station provides a convenient link to downtown and points north. Like other coastal communities of North San Diego County, I-5 divides Solana Beach into two distinct neighborhoods. West of I-5, you'll find a friendly beach environment with older Solana Beach homes dotting the hillsides, canyons and ocean bluffs. Many gated condominiums on South Sierra Avenue are second homes and seasonal rentals. Expensive, custom-built Solana Beach homes located on the ocean bluffs and high in the hills offer expansive views of the Pacific Ocean. More of a country club atmosphere exists east of I-5, with newer executive homes on large lots and a couple of condominiums neighborhoods. 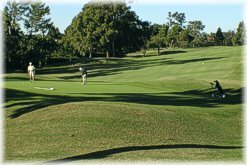 Private golf and tennis facilities are available at Lomas Santa Fe Country Club and the public is welcome at the Lomas Santa Fe Executive Golf Course. Only a few new Solana Beach homes are built each year, although several small residential developments were recently completed. Several expanded and updated retail centers offer stores such as Marshalls, Ross, Staples, and Dixieline Lumber. A few smaller office buildings complete the mix of Solana Beach real estate. Search MLS data for Solana Beach real estate & Solana Beach homes for sale. Solana Beach schools are highly rated and compare with the best in San Diego County. Elementary school children go to the Solana Beach School District and high school students attend the prestigious San Dieguito Union High School District. Outstanding private schools such as Santa Fe Christian School are also conveniently located in the area. See more information below on Solana Beach schools or go to School Reports. If you want to buy a home in Solana Beach or if you already own a home in Solana Beach, protect your investment by looking at Real Estate Statistics. There, you can track the average sales price, days on the market, sale to list price ratios and more. Included are vital statistics, charts and graphs on Solana Beach real estate, shown on a monthly and annual basis. And, be sure to sign up for the free e-mail reports on Solana Beach real estate trends by going to Real Estate Trends. 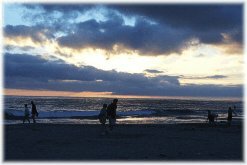 Want more information on Solana Beach real estate and homes for sale? Click here to contact Neal Hribar, your Berkshire Hathaway HomeServices, California Properties Solana Beach real estate agent. What homes are currently for sale in Solana Beach? Click here to do an instant search of Solana Beach real estate for sale.